Chef Susur Lee‘s Ginger and Orange Fortune Cookies are a delicately-flavoured update on the Chinese restaurant dessert staple. 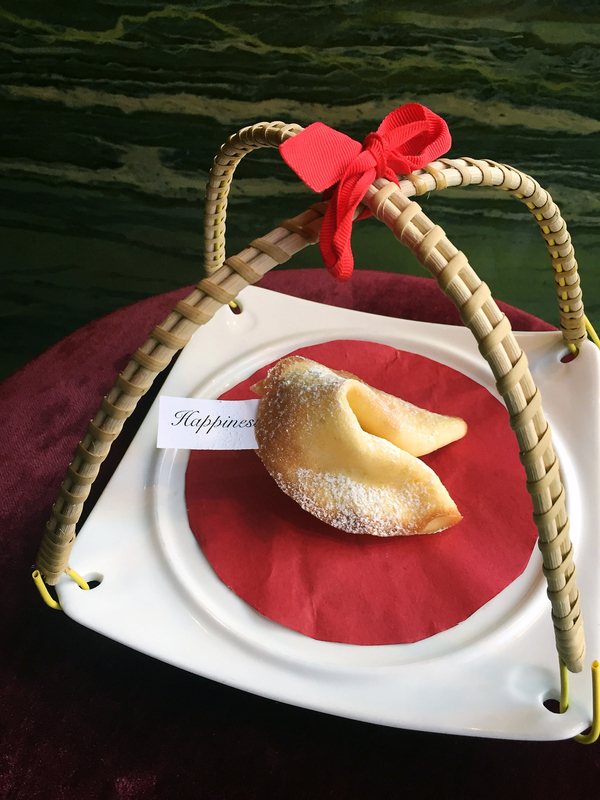 Have guests pen fun fortunes to add before the cookies cool for a an end-of-meal surprise. Mix all ingredients in a mixer with a paddle. Roll the mixture into a ball, wrap in cling wrap, and place in the fridge for one hour. Roll the dough out into a small, thin circle using a palette knife and a circle pastry stencil. Bake until very lightly golden, around four minutes or less. If you take the cookie out of the oven before it’s fully cooked, you will have more luck making your shape. If it is baked too long it will crack. Take it out and while still hot, fold into half-moon shape over top your fortune. Quickly lay the folded side on the edge of a mug creating a fortune cookie shape.